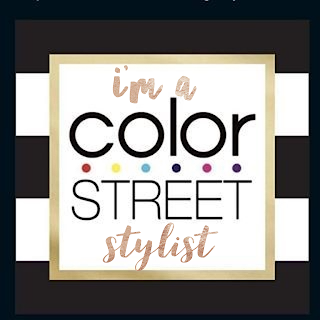 While walking in Prague over the New Year's holiday, I came to an abrupt stop, when I noticed a crowd of tourists taking photos of a salon store front. In the window there were two men with their feet in fish tanks, with dozens of tiny fish clinging to their legs, toes and feet. I couldn't help, but gawk as I had never seen anything like that before. I chalked it up as a cultural thing, took a photo, and kept on moving. Then, when I was in Barcelona this last weekend, I saw the same thing inside a mall. The signs read: Fish Spa - Derma Pez. This time, I didn't stare, but decided to try it out. Apparently, the beauty treatment originated in Asia and the Middle East and consists of fish called "Garra Rufa" feeding off of your dead skin to regenerate and revitalize your feet. The spa craze has now moved to Europe, Africa and South America, but has yet to break through in the U.S. It's not just for feet though. Some spas offer full body tanks!! Ah! For five euro, I put my feet in a tank for 10 minutes. 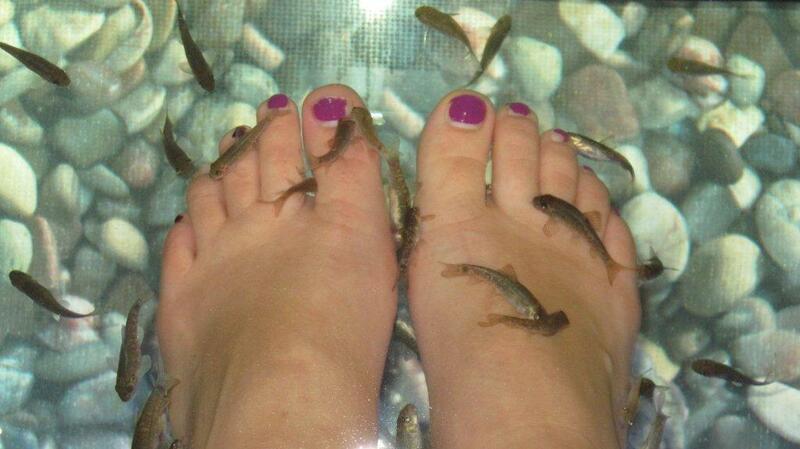 I'm not even ticklish, but I couldn't help but giggle and squirm due to the swarming of these little fish and their suckers on my feet. It was a bit unnerving, like I was in a tame version of Fear Factor. After a few minutes though, I got used to the sensation. I couldn't imagine if my feet were ticklish how weird it would be. Was it worth it? Yes. I have to admit that after my feet were quite smooth and glowing even. I'd definitely do it again since at least this time I'd be more used to the concept. The fish spas are popular in China as well! I haven't tried it, but I can imagine it'd be great to get that exfoliation going on the feet. Wild!! I would try it! I've wanted to try that ever since I first heard about it. Haven't run across a spa that offers it yet, though. I remember seeing news stories about this - there were some spas in SoCal that were doing it, but I think the Health Department stepped in and shut down the practice. I believe the concern was that there was no "sterilization" between patrons and that the fish may transmit stuff from person to person. It sounded very interesting! Nathan, if you're tickelish then forget about it, as you could see by my expressions, I was unnerved and I'm not tickelish. Audrey, maybe when you go abroad this summer. Pearl, I wish I didn't know that, lol. You're right though, now that I think about it. Makes sense. It's illegal in NH, but I have ticklish feet so I don't think I'd be able to handle it anyway! i have not yet to try this. there is one here in an Ocean Park. i will surely laugh out loud. Wow!! I would try this!